Easter is a time of hippity-hoppity fun for the little ones in your classroom. Are you looking for a quick and easy craft to do this spring? Just follow these Easter basket making directions for preschool. For preschool classroom parties, hide the finished product along with a few treats for the children to find. Cut the pastel craft sheets into 2" wide strips the long way. These will be used as a basket handle. You will need one strip per student. Use warm water to thoroughly rinse out the inside of the milk jug. This will help to remove any milk residue and reduce the possibility of a spoiled milk odor later. If you would like the children to help with this step, simply fill the jugs 1/4 of the way full with warm water, replace the caps tightly, and have the children shake the jugs vigorously. Preschool students will find this to be great fun! Also use the warm water to soak and remove any stickers or markings adorning the outside of the milk jug. You will only be using the bottom half of the jug for the project, so do not concern yourself with stickers or markings on the top-half of the jug. 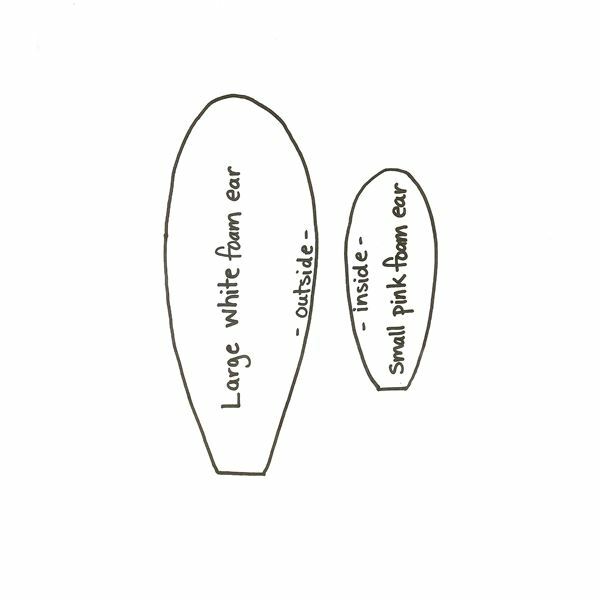 Using the bunny ear pattern provided, trace and cut out two outer ears using the white craft foam and two inner ears using the dark pink craft foam. Use the leftover dark pink foam to cut out one bunny nose in the shape of a small. Depending on the age and ability level of your students, you may need to assist, either by tracing the patterns ahead of time and allowing the children to do the cutting or by doing all of the cutting yourself and just allowing the students to glue. Glue the smaller, dark pink inside ear to the middle of the larger, white outside ear. Glue both ears to the front of the basket on the inside so that the pink part is facing to the outside of the basket. Glue the pink nose to the front of the basket, a little more than half-way down. Using the black permanent marker, have the children draw two eyes, some whiskers, and a mouth. You may wish to demonstrate the directions for this step ahead of time. Have the children spread their cotton balls out just a bit – to make them appear large and fluffy. 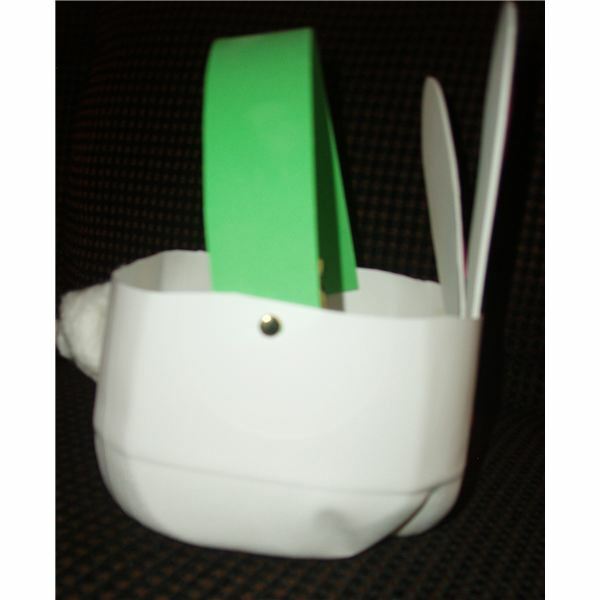 The cotton ball should then be glued to the back of the basket – on the outside. This will be the bunny's tail. When the students have finished gluing the tail on, they should bring the basket to you. Using the hole punch, place holes just below the rim on either side of the basket. Also place an identical hole in either end of the pastel foam strip you are using as a handle. Attach the strip to the basket using the brass brads. The strip will form a handle. Fill the Easter basket with Eater grass! If time simply does not allow for making these adorable bunnies in class, you may want to consider sending a copy of the activity home so that families can work together on the Easter basket making! Directions for preschool families should be spelled out explicitly, with all necessary materials clearly marked. 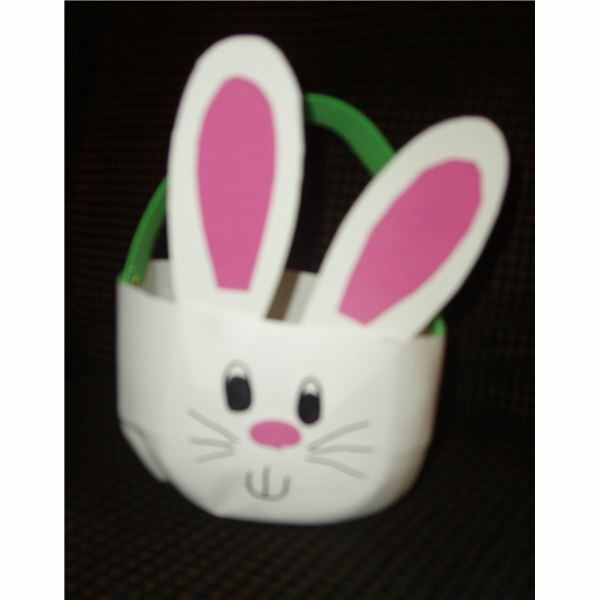 Your students can then use the baskets they made for celebrating Easter at home or bring them back into class for the Easter Bunny to fill there. Either way, the children in your care are bound to have a "hopping" good time with these Easter basket making directions for preschool! Are you looking to extend this activity? Here is a great list of Easter books for preschool children to use during your read-aloud time, and an example of holiday snacks you make with kids, which you can add to your list of treat ideas for classroom parties.